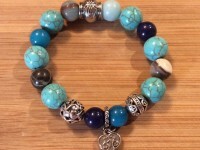 Handmade in Canada by me, pieces sourced from local suppliers, 7” semi-precious gem stone stretch bracelet. 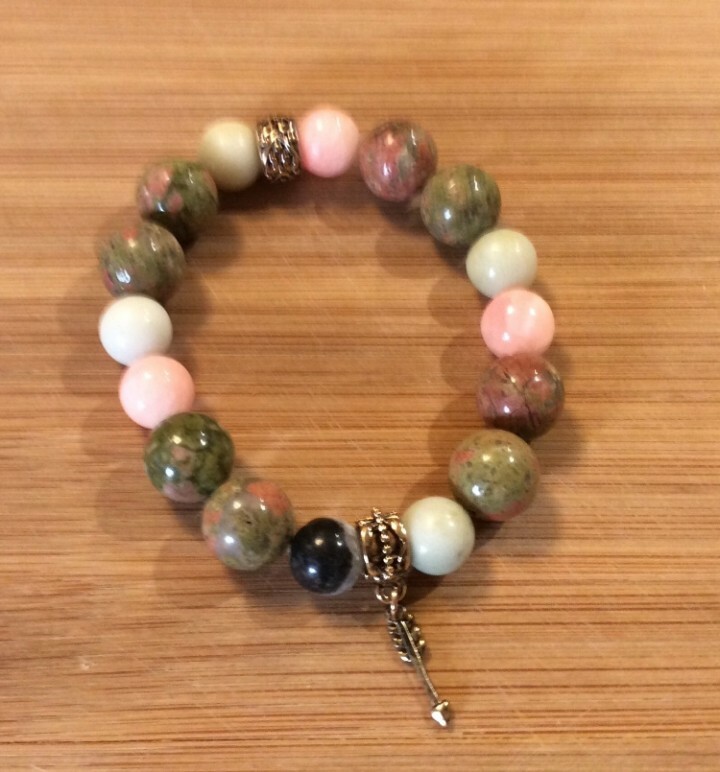 Made from pink quartz, green with pink jasper, white quartz and agate beads. Two Antique brass metal filigree bead, one with a cute arrow charm. Mixture of 10mm and 12mm beads for great texture and feel.